All roads lead to ______? Did you by any chance answer that question with Rome? In the world of western history or military history perhaps, all roads lead to Rome. But -- in the bible and in Judeo-Christian history, all roads lead to Jerusalem. Ever since David made Jerusalem his capital, and the glory of God descended upon Solomon's temple, Jerusalem has been the heart and soul of Israel. Though occupied by "foreigners" for most of modern history, even the sound of the word "Jerusalem" has turned Jewish eyes misty with love and longing. When Israel had been utterly destroyed as a nation, the redemption and renewal of Jerusalem became synonymous with salvation. Since the day Abraham set his steps toward a "Promised Land" -- and Moses led a group of slaves out of Egypt -- Jerusalem has represented the hopes and dreams of God's people. Perhaps some of you have had the opportunity to travel to the Holy Land and fall in love with Jerusalem. And if you ever have the opportunity to travel to Jerusalem – especially as believers in Yeshua with spiritual ties to this city… when you see the panorama of Jerusalem from the Mount of Olives, your heart will fill with love for this place! Yet, this is a bittersweet love -- for God it is a love that breaks the heart. Jerusalem is like a wayward child -- constantly wandering away and then crying out in times of trial. Jerusalem occupied by a series of foreign nations over the course of biblical history has never been really, truly free from discord and violence. You can see that broken heart of God in Luke who adds these words to the account of Yeshua' entrance into Jerusalem. "As he came near and saw the city, he wept over it, saying, 'If you, even you had recognized on this day the things that make for peace! But now they are hidden from your eyes" Luke 19:41- 42. Ever since Peter had identified Yeshua (Jesus) as "The Messiah, the Son of the Living God" Matthew 16:16, Yeshua (Jesus) had taught his disciples that his destiny included two seemingly contradictory things: (1) He had to go to Jerusalem and (2) He would endure suffering and death in Jerusalem. This created a terrible conflict -- especially for Peter. When Yeshua told his disciples that he would have to suffer and even be killed in Jerusalem, Peter asked for a private conference and presumed to admonish Yeshua (Jesus). "No way - God forbid it! This must never happen to you!" "How in the world," Peter is thinking, "Can the Messiah be killed in Jerusalem of all places? Jerusalem is the City of David! Messiah is the Son of David! Jerusalem is supposed to fling wide the Eastern Gate and welcome Messiah with tremendous rejoicing!" The Messiah rejected in Jerusalem? Inconceivable! How could it be? Yeshua (Jesus) gives Peter the answer, still in the privacy of this personal conversation. Listen carefully. Here is the key to the mystery of the Messiah --- "Get behind me Satan! You are a stumbling block to me; for you are setting your mind not on divine things but on human things" Matthew 16: 23. And there you have it! There is a great divide between the way most of Jerusalem thinks about Messiah and the way Yeshua (Jesus) comes as Messiah. In fact there is a gap between Yeshua and his own disciples when it comes to understanding Messiah. And just before Yeshua (Jesus) ascends into heaven in the first chapter of Acts, the disciples ask if Jesus is now going to restore Israel to its former world class status! The mystery of Yeshua' journey to Jerusalem is that he says in effect, "Yes, I came for Messiah's crown, but I must first bear Messiah's cross." He can not save before he suffers. He can not bring us back to God until he brings God back to us in the amazing mystery of the cross. God’s purpose for the human race is centred in His chosen people. When conditions in the world approach those described in Scripture for the last days of Israel, the end of Gentile world government will be near. The re-birth of national life among the Jews mean the dawn is in the sky for them after a long night of war, suffering, hunger, disease, and death extending over the many centuries of their dispersion. God has announced that He is going to intervene in the affairs of men someday. We can get some idea of when this will be by examining what the Bible says about the people of Israel. No one interested in world events can afford to be ignorant of what God has revealed about them. Today the nation of Israel is constantly in the headlines of newspapers and media. But to believers who have studied the Word of God carefully, these headlines aren’t news at all! The new born state of Israel is 62 years old this year. To start with; the rebirth of the State of Israel in 1948 was a miracle of history (Ezek. 37: 1 – 11; Luke 21: 29 – 30). Never before has a nation been destroyed, its people dispersed to the ends of the earth, and then nearly 2000 years later, re-gathered to their homeland and re-established as a nation. A Syrian column of 200 armoured vehicles – including 45 tanks attacked Degania, the oldest Kibbutz in Israel. Without artillery Jewish forces were helpless to block the Syrian advance. At that time there were only 4 heavy weapons (howitzers) the type used by the French army used in the Franco-Prussian war. Two were promptly dismantled, rushed to Degania and Lieutenant Colonel, Moshe Dayan - The local commander had them re-assembled at the precise moment that the first Syrian tanks entered the Kibbutz. With their first shot they scored a direct hit. The Syrians though that they were facing batteries of artilleries and fled! Another miracle worth mentioning took place at Safed where a small unit of Israeli defenders were holding off a 1000 Arabs. When everything seemed hopeless a “sudden” tropical storm broke loose. The defenders in desperation took their remaining gasoline and poured it over empty drums, set them alight and rolled them down the hill. Together with the tropical storm the rumbling of the hollow barrels striking rocks created such an illusion that the bewildered attackers though some sort of secret weapon was released and so they fled. "We traversed some miles of desolate country whose soil is rich enough but is given wholly to weeds - a silent, mournful, expanse… a desolation is here that not even imagination can grace with the pomp of life and action. We reached Tabor safely... We never saw a human being on the whole route. We pressed on toward the goal of our crusade, renowned Jerusalem. The further we went the hotter the sun got and the more rocky, bare, repulsive, and dreary the landscape became... There was hardly a tree or a shrub anywhere… Even the olive and the cactus, those fast friends of a worthless soil, had almost deserted the country. No landscape exists that is more tiresome to the eye than that which bounds the approaches to Jerusalem... Jerusalem is mournful, dreary and lifeless. I would not desire to live here. It is a hopeless, dreary, heartbroken land... Palestine sits in sackcloth and ashes." From this text we can sense a sadness that just as the Jewish people was mourning the loss of their land so too the land was mourning their absence. Almost as though the land was cursed --- until the return of the Jews! Barren land transformed to the fertility of ancient Israel is a miracle predicted in Scripture (Amos 9: 14 – 15). It was long assumed that Israel (Palestine) was wasteland and irreclaimable for agriculture. But the remains of seventy ancient settlement sites in one 65 mile stretch of the Jordan Valley alone bring back to mind what Lot show in Genesis 13:10. He saw all the plain of Jordon that it was well-watered even as the Garden of Eden. One of the basic necessities in the arid country of Israel is re-forestation. The Bible helped them decide what kind of trees to plant and where to plant them! Knowing that trees grew more easily where they had flourished before. They found the answers in the Book of Joshua. In Bible times there were two important rainy seasons in Israel --- “the early and the latter rain.” But for many centuries the “early rain” has been minimal while the “latter rain” and dew have disappeared completely. Since 1978, the “latter rain” is falling again. The precipitation of both has spiralled over the decades, just as predicted in Joel 2: 23 – 24. David Ben Gurion, Israel’s dynamic first Prime Minister, was an ardent student of the Bible as an accurate history of Israel and its land. He dispatched engineers, horticulturalists, botanists etc, with the Bible in one hand and research tools in the other, and miracles happened. Following Bible clues, copper and iron mines were established. An engineer stated; “we came upon the slag and furnaces of ancient Israel. We often get the feeling that someone has just left.” Deuteronomy 8: 7 - 9 was often framed on the walls of mining offices. Remains of copper mines in the Timna Valley located in the south-western Arava, some 30 km. north of the Gulf of Eilat. The existence of the remains of copper production at Timna was known from surveys conducted at the end of last century, but scientific attention and public interest was aroused when in the 1930s Nelson Glueck attributed the copper mining at Timna to King Solomon (10th century BCE) and named the site "King Solomon's Mines"; this theory has not been verified. In Ezekiel 38: 10 – 13 we can see the prediction that Israel will become an envy of the nations. Israel has witnessed an explosion in both high-tech developments and the number of contracts of Israeli high-tech companies have signed with manufacturers world-wide. Prime Minister Netanyahu said, “We now have the highest per capita of Scientists in the world, this has put Israel on the cutting edge of technology.” The New York Stock Exchange lists more high-tech companies from Israel than any other nation. Ezekiel 38: 16 – 23 also predicts the sanctification of God’s Name when Israel’s enemies would threaten His people. God’s Plan --- will ultimately come to pass! And precisely 50 years later, on November 29, 1947, the UN voted to award the Jews with a minute, sliver of what once had been their never-to-be-forgotten homeland. The exiled half of Abrahams’ family was heading home at last! What is the Lord’s perspective of Dividing the Land? “And Solomon awoke, and behold, it was a dream. Then he came to Jerusalem and stood before the ark of the covenant of the Lord, and offered up burnt offerings and peace offerings, and made a feast for all his servants. Then two prostitutes came to the king and stood before him. The one woman said, "Oh, my lord, this woman and I live in the same house, and I gave birth to a child while she was in the house. Then on the third day after I gave birth, this woman also gave birth. And we were alone. There was no one else with us in the house; only we two were in the house. And this woman's son died in the night, because she lay on him. And she arose at midnight and took my son from beside me, while your servant slept, and laid him at her breast, and laid her dead son at my breast. When I rose in the morning to nurse my child, behold, he was dead. But when I looked at him closely in the morning, behold, he was not the child that I had borne." But the other woman said, "No, the living child is mine, and the dead child is yours." The first said, "No, the dead child is yours, and the living child is mine." Thus they spoke before the king. Then the king said, "The one says, 'This is my son that is alive, and your son is dead'; and the other says, 'No; but your son is dead, and my son is the living one.'" And the king said, "Bring me a sword." So a sword was brought before the king. And the king said, "Divide the living child in two, and give half to the one and half to the other." Then the woman whose son was alive said to the king, because her heart yearned for her son, "Oh, my lord, give her the living child, and by no means put him to death." But the other said, "He shall be neither mine nor yours; divide him." Let’s look at this story from the Word of God and compare it to Israel’s current situation today. Is there a special meaning today in these words? Could this story relate directly to the two state solutions being planned by the USA, UN and other powerful nations who seek to divide Israel into two states? Is it possible that this familiar Old Testament story actually contains a prophecy yet to be fulfilled? Let’s assume for a moment; that King Solomon in this story represents the “King of all Creation,” The Lord of the universe. The first woman in the story represents the Jewish people. Her baby represents – Israel. Let’s further assume that the second mother represents the Palestinians and the Arab nations. Notice that the second woman had her baby 3 days after the first woman. 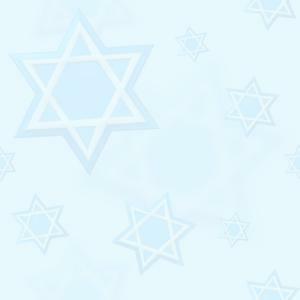 The Jewish state was first created about 3000 years ago. The Palestinians and Arab nations are trying, three thousand years later, to create an Arab Palestinian state where none has previously existed. So, 3 days, or 3000 years ago, Abraham’s promised seed gave birth to the nation of Israel. Today, 3 days or 3000 years later, Palestinian Arabs who are mostly recent migrants to the land with no established history and prior national claim arrive and try to steal the baby. It’s also a fact worth noting that many terrorist suicide bombers are in the youth and they are used in the effort to “liberate” the land. Further, did they not, perhaps even unknowingly, kill their own baby when they rejected a state of their own with the 1947 partition plan? Like the first mother, haven’t the Jewish people expressed a willingness to give up half the land in a division plan just to keep their precious baby (Israel) alive? And haven’t the Arab’s like the bitter second mother, agreed to the division plan – the splitting of the child in two, knowing it will result only in the death of the baby? But, we believe that this is not going to happen. The baby (Israel) will not be killed! Because like King Solomon, God Almighty has already decided that the baby belongs to the Jewish people. The God of Israel is a God of miracles --- and He has only begun His miracles in achieving Israel’s ultimate destiny. God will even work miracles to bring the nations into harmony with Israel. His intentions are revealed by the Prophet Jeremiah 31:10. God bless you as you continue to stand with Israel. 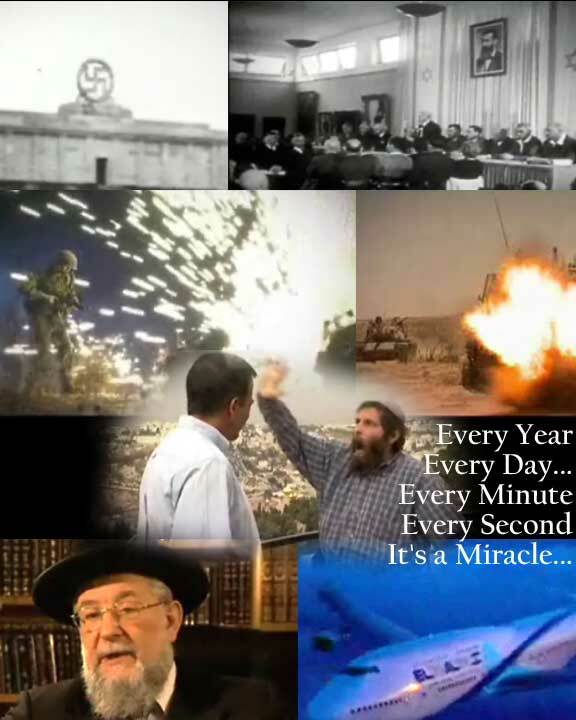 Every year, every day, every minute and every second is a miracle of Israel’s existence! Happy 62nd Birthday – ISRAEL!